I hope you guys are having an amazing weekend. As for me, I am in love with this prefect spring weather, sunny in the day and breezy during the nights. Its my favorite weather. I have a thing for long earrings and I am obsessed with tassels so I combined both the things and decided to make these for myself. Follow these steps to make yours. Use thread and needle to secure the tassels tightly to the hook and voila you are done. P.s. : please ignore the chipped nailpaint. So this is how they look. I can’t wait to style them already. 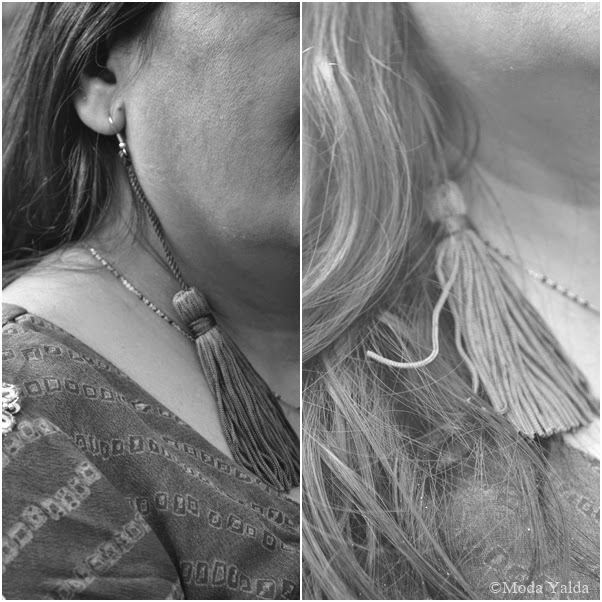 If you happen to make this DIY tassel earring do share with me.